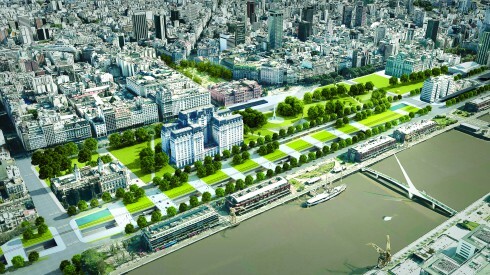 The city of Buenos Aires is probably the most visited city of South America. The capital of Argentina is a tourist hub, offering plenty to do and see. The mystic concoction of South American flair and European elegance is something that makes this city quite unique and special. The best time to visit Buenos Aires is in the Fall, that is, from April to June, or in the Spring, from September to December. During this time the mild temperatures, relatively lesser crowds and colourful foliage are all quite enticing. However, Summer which falls in January and February is the peak tourist season. 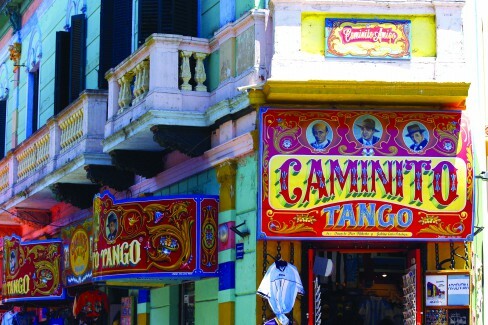 Buenos Aires is known for its preserved Spanish and European-style architecture. 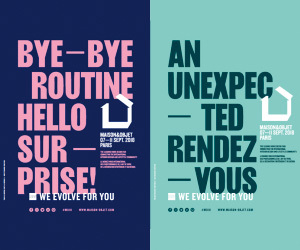 Due to an influx of immigrants it is a melting pot of culture and this multi-ethinicity reflects in its lively art, theatre and music scene. It is called the city of books, thanks to the deluge of bookstores that thrive here. It’s taste for culinary experimentation adds to its attraction. 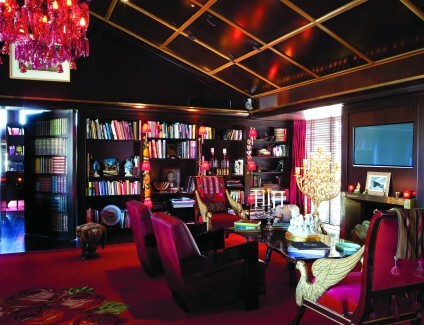 The Faena Hotel Buenos Aires boasts of a very elaborate design scheme. The décor personifies opulence at its best. Earthy colours dominate the palette. Right from the façade of the grand old building to the lush interiors, warm and earthy colours overpower the entire design. There is a lot of red used in the hotel. 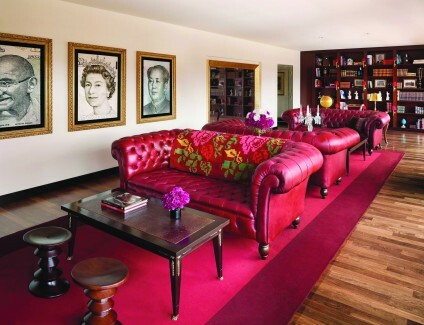 Right from the plush carpets to the rooms, the vibrancy is evident. The deep Cabernet-red carpets in the rooms and velvet drapes frame scenic views of the Puerto Madero gardens and the city skyline. Another subtle but highly sophisticated touch lies in the varied accessories. Each item of furniture or furnishing boasts of great artisanal quality. For example, one finds delicate hand embroidered artisanal throws, pure white leather furnishings, elegant silverware, bespoke light fixtures, contemporary artwork by local artists, diverse libraries, antiques and artisanal keepsakes from around the world. Right from the rooms to the grander suites, the principle of luxury and opulence is all pervasive. 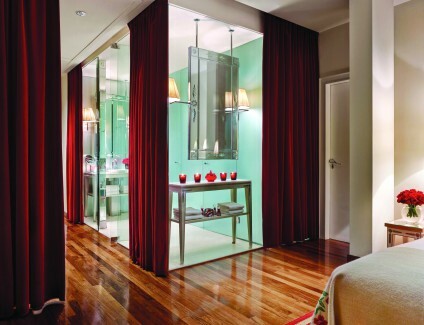 The lacquered wooden floorings for the rooms and pristine marble for the bathrooms complete the look. 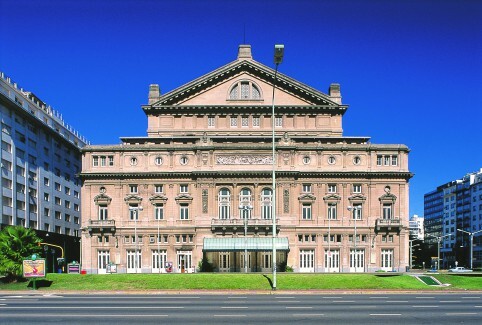 The Teatro Colón, Spanish for Columbus Theatre, is ranked amongst the best Opera houses in the world. The state-of-the-art acoustics add to the entire experience. The current building opened on 25 May 1908, which makes it more than a hundred years old. Before this, there was another theatre by the same name at the same location. It has a rich and prestigious history, having stood the test of time and the brutalities of war. In 2010, it was restored once again to its original glory. The building is a magnificent seven-storey one. It can easily seat 2500 people and there is also standing room for 500 spectators. 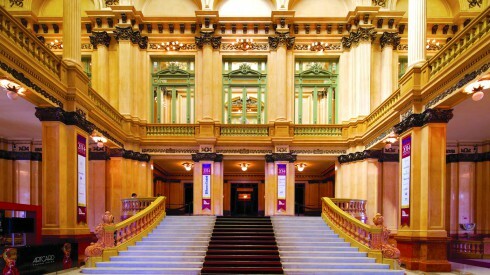 It is built in the style of other 20th century European theatres. The main area is shaped like a horseshoe. The attractive dome on the ceiling has been painted by Argentine Raúl Soldi in 1966. It is important to note that the acoustical prowess is attributed to the very design and construction of the opera. In that sense, it is architectural expertise that aids the fine acoustics. Be it the technicality of using the horseshoe shape or the use and positioning of materials and proportions to aid reflection of sound and the design of the theatre serves a purpose. 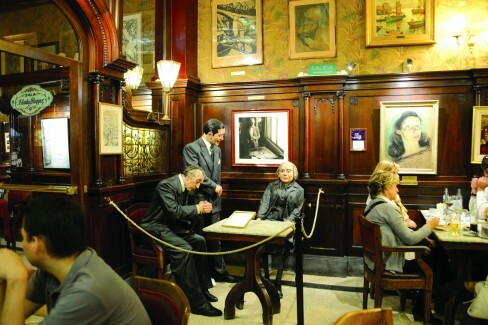 Argentina is known for its historic cafés, of which Café Tortoni is quite popular. It traces its origins to the year 1858, when it was opened by a French immigrant. The place was frequented by a group of painters, writers, journalists and musicians who formed the Agrupación de Gente de Artes y Letras (Arts and Letters Association), led by Benito Quinquela Martin, using the basement cellar for their meetings. Today, there is a library in the basement where there are poetry readings and jam sessions with jazz orchestras. The antique café continues to host celebrities from around the world. You can see their framed photos around the room. This also serves as great décor as the walls make the space look worthy of a museum. The café is in a Parisian brasserie style of the Belle Époque. 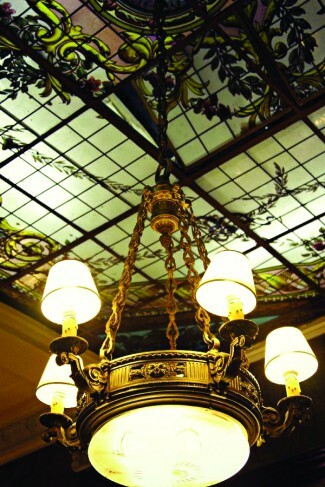 There are bright mirrors, sparkling chandeliers and gleaming wood panelling. It still has many of the original furnishings which give it a classic feel. Both the design and the appearance are bright, lively and artistic, and so is the spirit of this space. One can also see the famous ‘tango’ dance here… something that is as common as walking around! 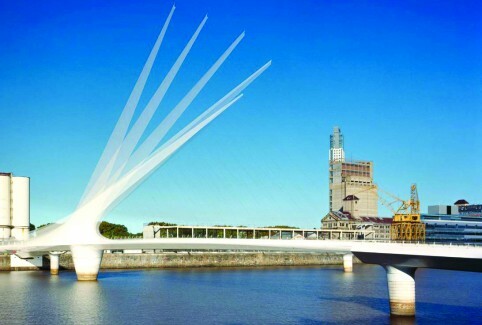 The Puente de la Mujer is an example of modern construction. The design inspiration for the bridge is a synthesis of the image of a couple dancing the tango. Translated from Spanish it means Women’s Bridge. The pedestrian bridge is 170 m long and 6.20 m wide. It is divided into two fixed portions which are 25 m and 32.50 m long, and a middle section of 102.5 m that rotates on a white concrete pylon. This allows vessels to pass in less than two minutes. This central section is supported by a steel ‘needle’ with a concrete core. The ‘needle’ inclined at a 39° angle, anchors suspension cables which support the central span. A computer system at the eastern end of the bridge operates the turning mechanism when required. The bridge basically provides a modern classy example of design in a space that is rooted in traditional architecture.